Today's parliamentary sitting portends fireworks. The minority's rescission motion is scheduled for debate at last after several postponements by both sides of the house. The minority leader, Alban Bagbin, will lead the minority charge with a speech later this morning. Meanwhile, the majority is reported to be tabling an amendment motion, which will seek to water down the effects of the motion by the minority. The minority is expected to oppose this as being out of order, as Standing Order 93(3) rules it is out of order to introduce any matter that had been concluded and a decision taken on by parliament except by a substantive motion of rescission. The CNT loan, since its approval by parliament in April, this year, has generated a lot of controversy about the genuineness of its, following a revelation that the addresses given as the location of the offices of the CNT in London had turned out to be a hairdressing salon. Subsequently, some of the companies that were said to be shareholders in CNT, like the China Railway Corporation, disavowed their involvement in the transaction. 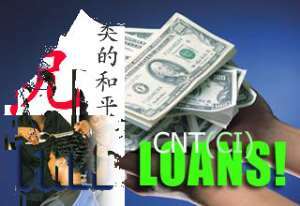 It will be recalled that on April 13, this year, parliament approved a loan agreement in the sum of $300 million from the CNTCI, a private company incorporated in the UK, with an affiliate in Hong Kong. The minority in parliament filed a motion for rescission of the loan agreement between the government of Ghana and CNT Group Holdings Limited and CNT Construction Limited for an amount of $300 million.